The old images of California's poorest residents concentrated in rural places like the Central Valley aren't borne out by new data from the Public Policy Institute of California (PPIC). Using the California Poverty Measure (CPM) -- which takes into account not just income but also cost of living and the value of social safety net programs -- 19.4 percent of Californians, or 7.4 million people, currently live in poverty. According to the CPM measure, a family of four earning about $31,000 a year or less is below the poverty line. 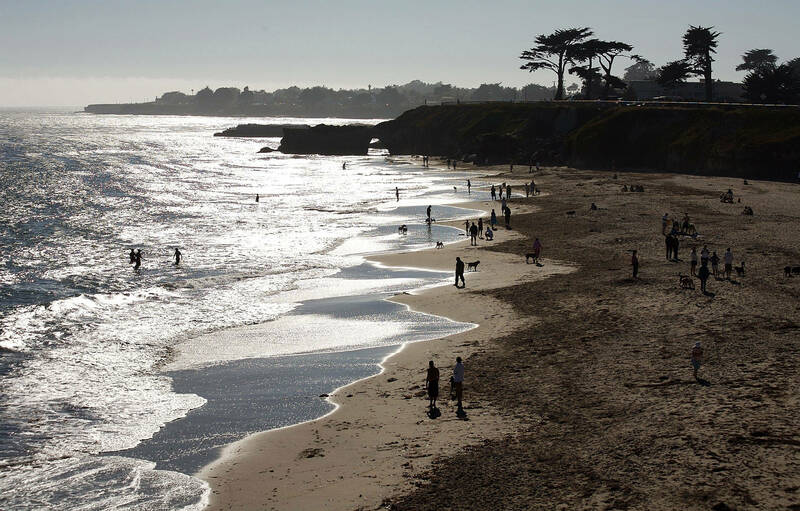 The two counties with the highest poverty rates are Los Angeles (24.3 percent) and Santa Cruz (23.8 percent). Not far behind is Santa Barbara County, where 23 percent of residents don't have enough money to live on. That's not to say poverty rates in places like the Central Valley are low. Fresno County's poverty rate is 19.6 percent, while Tulare County's to the south is 20.3 percent. The county with the lowest poverty rate is El Dorado (11.8 percent) in the Sierra foothills. It was followed collectively by Alpine, Amador, Calaveras, Inyo, Mariposa, Mono and Tuolumne counties, which have a combined poverty rate of 13.4 percent. "The picture of poverty is quite different than what you might expect based on the 1960s-era official poverty estimates," noted PPIC researcher Sarah Bohn. "It tends to be higher on the coast, and some of that's driven by the high cost of living, but also by the fact that in some of those places families are working and less eligible for social safety net programs that boost their income." Using the CPM measure, almost four in 10 Californians (38.2 percent) are living either below the poverty line or just above it. Poverty was highest among children (21.3 percent). Latinos make up more than half (52.8 percent) of the poor in California. The data show that while the official federal poverty rate -- which does not take into account cost of living -- has declined since 2015, when it was 15.3 percent, to 14.3 percent today, it's still well above the most recent low of 12.4 percent. PPIC found that the largest social safety net programs, including CalFresh, the state's main food assistance program, and the earned income tax credit helped keep millions of Californians out of poverty in 2016. But the best route out of poverty seems to be education. "Clearly the more education you have, the better your job opportunities are," said Bohn. The poverty rate among adults ages 25 to 64 years old with a college degree was 8.4 percent, compared with 34.5 percent for Californians without a high school degree. 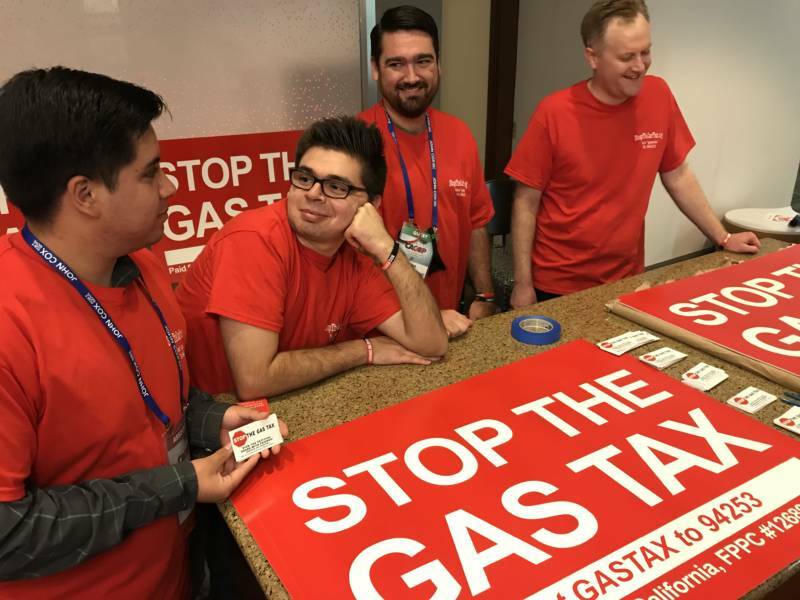 Republicans, including John Cox, led the charge to collect signatures to put the gas tax repeal on the ballot. The issue of poverty in California has not exactly been front and center in the governor's race. Republicans, including gubernatorial candidate John Cox, blame Democrats for policies that increase the cost of living in the state. Cox, for example, strongly supports Proposition 6 to repeal the state's 12 cents a gallon gas tax increase. “The special interest driven political class is adding new gas taxes, increasing car registration fees, while avoiding addressing one of the biggest factors of poverty – the massive housing shortage that is skyrocketing rents to unaffordable levels for most Californians," Cox said in a statement to KQED. Cox wants to speed up the approval process and clear away red tape to increase housing production. "This isn’t a Democratic or a Republican problem, we see that others states regardless of the party in power don’t have these issues and it’s going to require new ideas to solve, such as replacing CEQA (the California Environmental Quality Act) with something that allows for new housing and eliminating the stifling power of special interests on Sacramento’s political class,” Cox added. Unlike Cox, Democratic candidate Gavin Newsom strongly opposes Proposition 6, saying the $5 billion the gas tax generates each year is vital to shoring up the state's transportation infrastructure. His approach to addressing California poverty includes launching college savings accounts for kindergartners and "dramatically increasing CalWorks grants," the program that gives cash assistance to families with children. An earlier version of this story misidentified the number of the ballot measure to repeal the gas tax. It is Proposition 6, not 10.